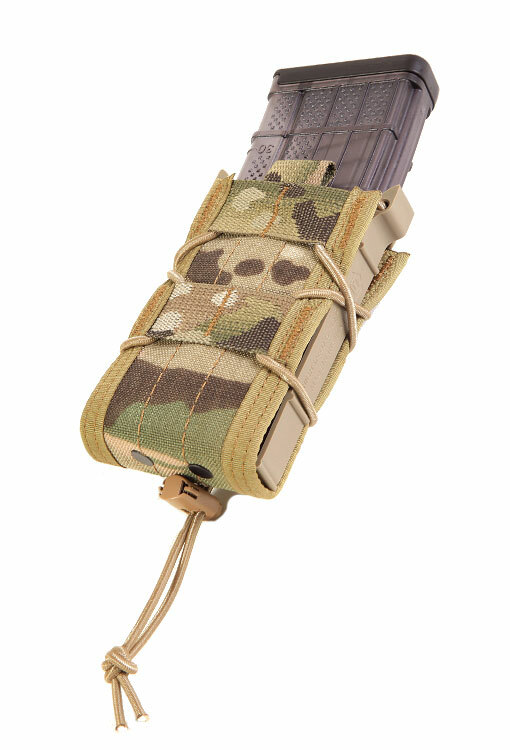 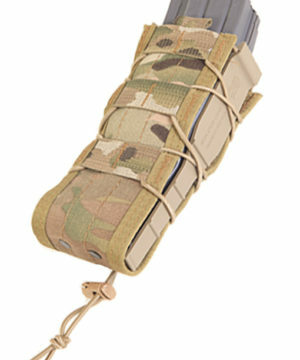 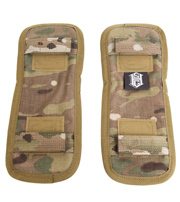 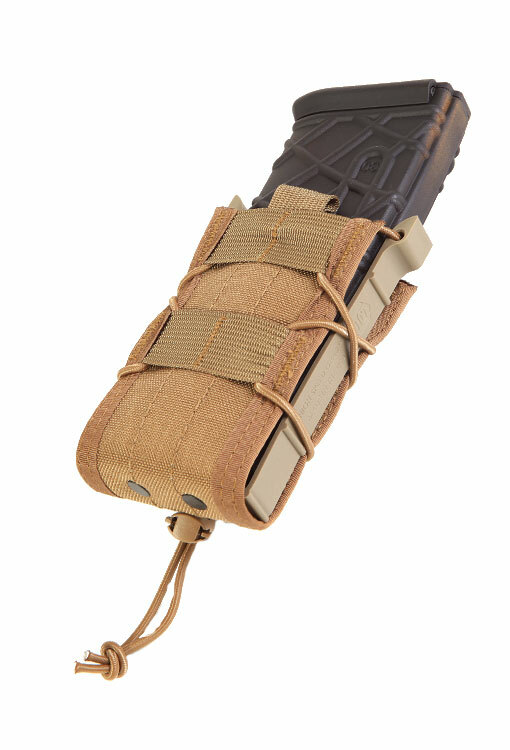 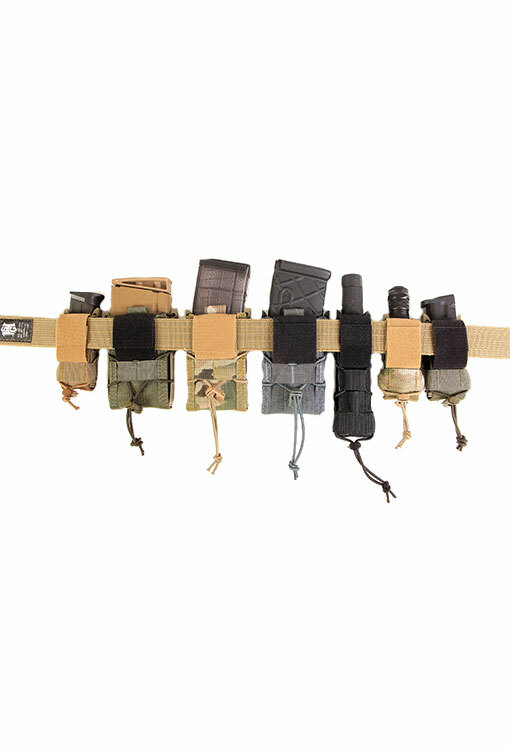 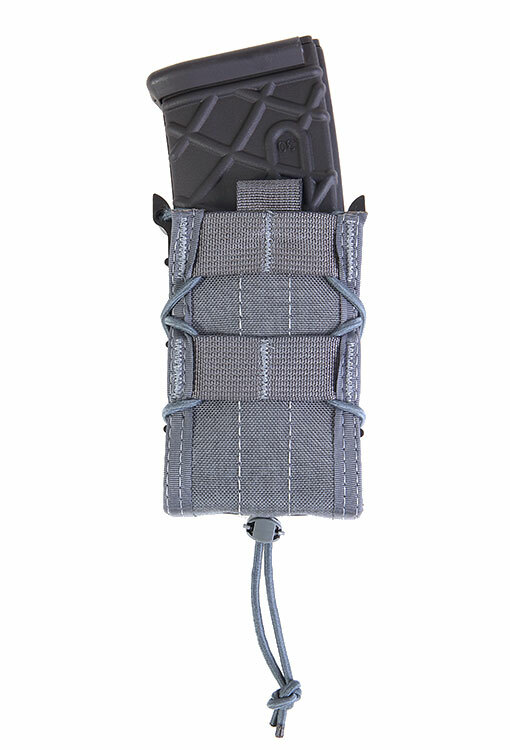 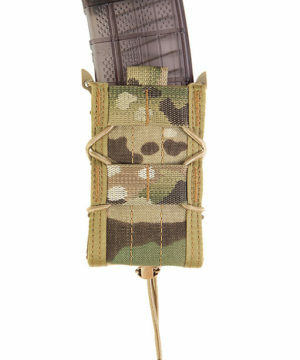 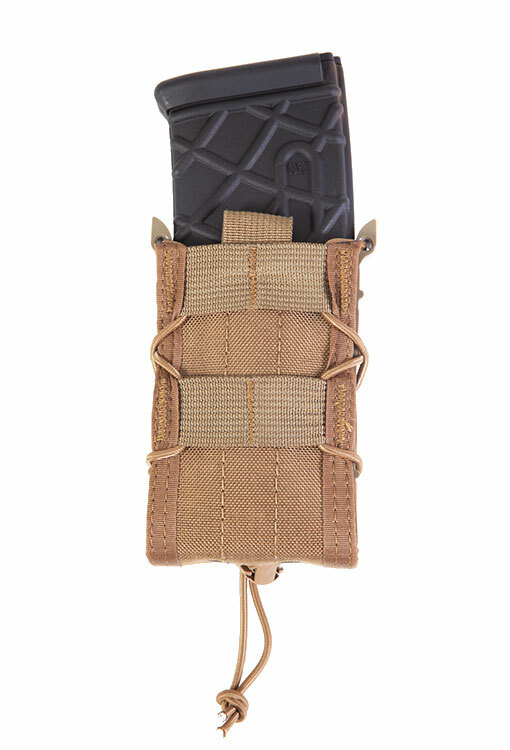 This unique belt mounted pouch uses injection molded polymer sides, Cordura™ front and back, and shock cord lacing to lock just about any rifle magazine into place. 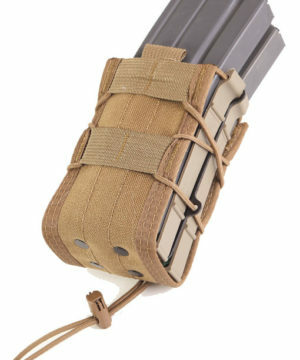 MAGAZINES AND ACCESSORIES NOT INCLUDED. 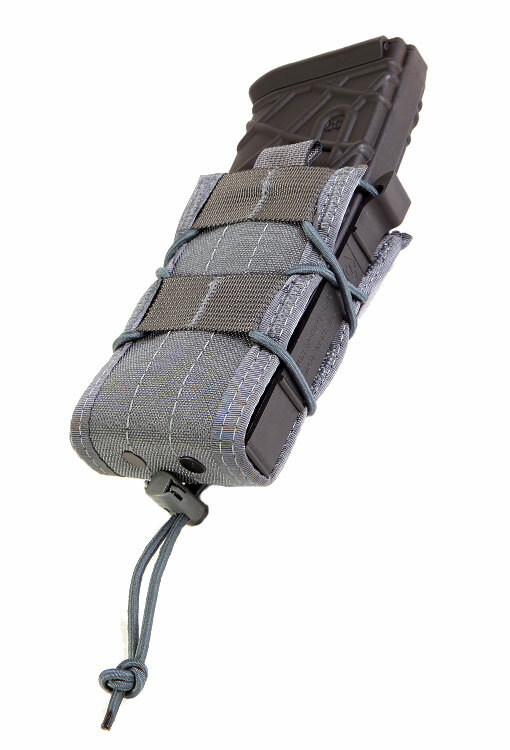 The pouch maintains a positive, adjustable grip on its contents without additional securing systems. 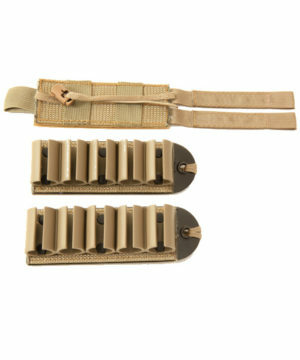 However, if additional retention is desired webbing tabs are sewn in on the top for use of “over the top” bungee retainers and loop Velcro is sewn on the interior if the users wishes to use adhesive hook on the magazine. 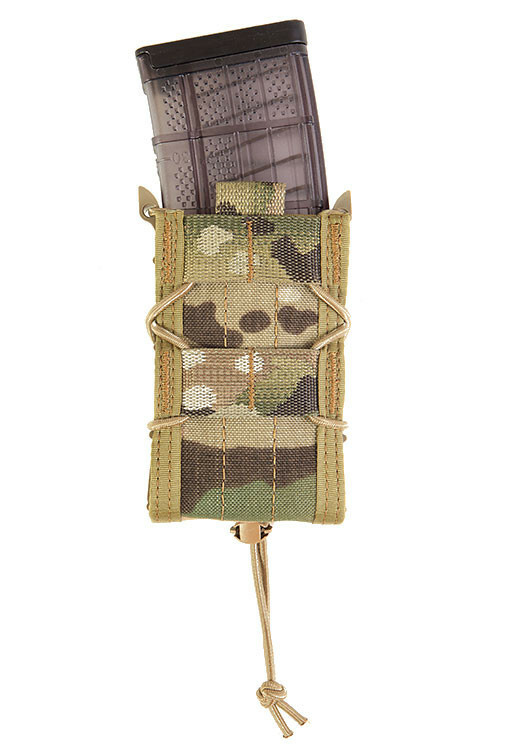 MAGAZINES AND ACCESSORIES NOT INCLUDED.